The Central Electoral Commission (VRK) has hinted at a potential removal of the Order and Justice Party from the current Seimas elections due to suspicions of buying votes, distributing the mandates the party has earned to other parties. This could turn into a harmful precedent believe political scientists Mažvydas Jastramskis and Lauras Bielinis. Last Thursday the police department arrested seven individuals under suspicion of buying votes in Šilutė town, the suspect’s homes underwent searches. On the same day, the VRK set up a workgroup regarding the results of the Order and Justice Party. VRK Chairman Zenonas Vaigauskas has confirmed that if the party electoral roll is removed from the election, the remaining parties would divide up the votes, stating that “If these things are confirmed, we will have to debate the candidate’s presence in the electoral roll. Even after the elections conclude, the VRK can cancel a member of Seimas’ mandate and declare the votes void. Mandates would then be split between the remaining parties, if we remove the entire party’s electoral roll. The question is who would receive the mandates. It could be that each party would receive one. “I believe that eliminating a party from the election is impossible, including eliminating a large number of voter’s votes, which would mean that the state removed their right to vote in the election. Secondly, such a precedent would mean that in the future, parties can pressure the VRK into removing political powers and for even less justified reasons,” cautions Vilnius University Institute of International Relations and Political Science (VU TSPMI) docent M. Jastramskis, stressing that such a precedent would be dangerous. Vytautas Magnus University (VDU) professor L. Bielinis echoes such sentiments. He believes that this specific case should be dealt with by courts, not commentators or politicians. In his opinion the VRK decision has to be based on court rulings. “Even if we make the assumption that the court makes a ruling, I can clearly state that in all circumstances, be it political or be it legal decisions, whether it be arranged – it will always give politicians a pretext to criticise, dismiss and speak of having been harmed personally or such,” says the expert. Order and Justice politicians could use this opportunity by criticising and expressing concern regarding such decisions, using it as a platform to mobilise a part of the electorate, he believes. “Finally we will have that which, in my opinion, is the worst: the more such conflict situations we encounter in this election, the more decisions are made with doubts and disagreements, the more doubts will arise regarding the legitimacy of all elected candidates. This is very important, such discussions, contradictions and conflicts will raise a question in the minds of voters; is what we elected truly those who we voted for,” cautioned the professor. Delfi reminds that in the Seimas election first round a week ago, Order and Justice earned 5.33% of the vote, passing the 5% vote barrier and earning 5 mandates. Another 5 party candidates entered the second round of elections. 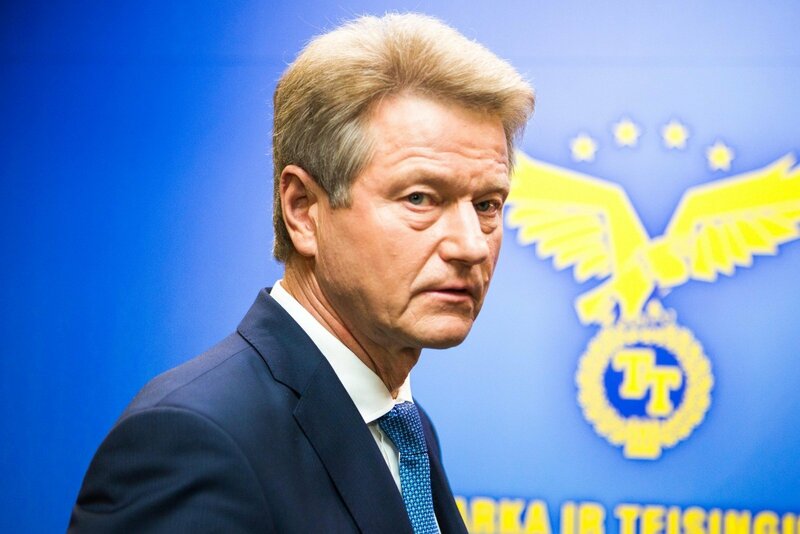 Party Chairman Rolandas Paksas withdrew from his post immediately following the election, Remigijus Žemaitaitis, infamous for his statement on Crimea, took charge as acting Chairman. Having triumphed in the 2012 election with 19.82% of the vote, the Labour Party was faced with a fiasco this year, earning only 4.69% of the vote, failing to exceed the 5% vote barrier and enter Seimas. With the political entity which unites over 20 thousand members failing to enter Seimas through the multi-mandate district, Valentinas Mazuronis resigned from party leadership. Having failed to enter Seimas and being left without its core leaders, the future is unclear for this party. Alfa.lt reviews whether Labour voters and members still have any hope and what paths the party may take in the future. Viktor Uspaskich founded the Labour Party in 2003 and was its Chairman until 2013. During his time in lead, the party experienced its golden age. With Labour having hit rock bottom in politics, the return of its former leader could help recover. “He has not lost his charisma. If he had contributed to the party electoral campaign, Labour would have exceeded the 5% barrier,” states political scientist Algis Krupavičius. He believes that in the theoretical case of Uspaskich returning to lead his party, it could aid recovery. Currently a member of the European Parliament, Uspaskich noted that the resignation of Seimas Speaker Loreta Graužinienė will have no impact on the party because it failed to do anything good during this term. “It is her business. She wanted to resign, she resigned. You know, looking at all the ministers of our party, all the members of Seimas, and this election shows that there was only harm done to the party. And the party did nothing useful for neither the state, nor the people,” he stated. Having been left without strong leaders, with most of its well-known faces leaving party ranks, it is natural that party members are going to be considering fleeing to other parties, as such one option to keep members is merging with another party. Political scientist Ingrida Unikaitė-Jakuntavičienė states that Labour, on the verge of extinction, could still lose its face and disappear if it joined a larger party, while joining with a smaller entity would not produce results. The most realistic variant would be for the Labour Party to join a similar power, which has overlapping electorates. Looking at the current Lithuanian political situation, merging with Order and Justice, which is experiencing serious problems right now, would be the best option. 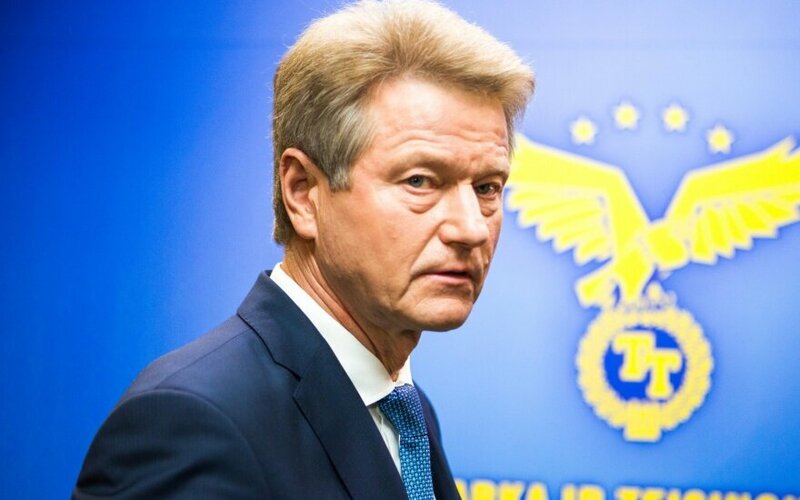 A few days ago, Order and Justice Chairman Rolandas Paksas resigned from his position, the party has been accused of buying votes and the results obtained could be annulled. A. Krupavičius believes that a merger between Labour and Order and Justice is an old scenario which has become more relevant as of late. If the parties merge, then they could, for a time, recover a part of their influence. “It is in fact a very good time for various merger experiments because the nearest election is only in 2019, if there are no early Seimas election. There is no chance of the President concluding her term ahead of time, even theoretically. As such until 2019 there will be no elections in the country. Meanwhile in 2019-2020 it will be a period where all forms of government will be re-elected, starting with municipal elections, ending with the head of state and European Parliament. Labour can still adequately prepare for this,” said Krupavičius. Another path for Labour is attempting to recover without merging with another party, however internal recovery without making sweeping changes is impossible. After the shocking loss it wasn’t only the party chairman who left, but also Seimas Speaker Loreta Graužinienė. With the leaders resigning, the loss of member numbers is inevitable. As such it is likely that the Labour Party may experience the same fate as Artūras Paulauskas’ New Union, which vanished from Lithuanian politics after two terms. “If it does not merge, then the chances of strengthening on its own are very slim, regardless of the large member count, which could dwindle after the election. For the most controversial parties which have lost the confidence of voters, the electorate is not stable and tends to seek “new saviours”, returning to the same level is difficult. Hope can rise for voters, depending on the signals sent by the Labour Party, but it is likely that there is little hope, seeing the resignations and having lost its key figure even earlier. This party specifically stood out because it was based on one personality, with him gone, it is unlikely any other can replace him and guarantee a successful future,” stated I. Unikaitė-Jakuntavičienė. Another potential path the Labour Party could take is renewal, attracting younger members into its ranks. This was successfully accomplished by other parties, by inviting more young people into its ranks first. A. Krupavičius sees another opportunity – if the Social Democrats only have a very slow generational shift, Labour could aim at representing centre-left youth. So far it has been anti-establishment youth who voted in protest, but without firm ideological guidelines.